`No matter how long I may look at an image, I shall never find anything in it but what I put there. It is in this fact that we find the distinction between an image and a perception.' - Jean-Paul SartreL'Imagination was published in 1936 when Jean-Paul Sartre was thirty years old. Long out of print, this is the first English translation in many years. 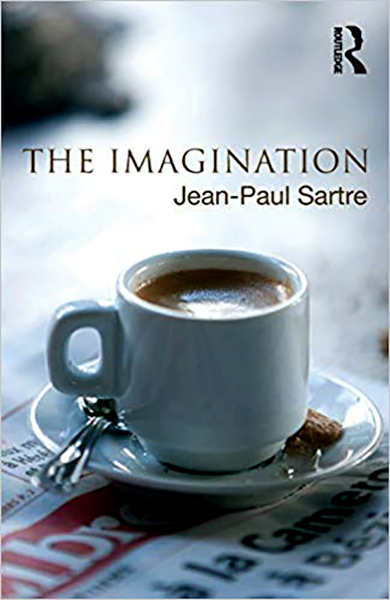 The Imagination is Sartre's first full philosophical work, presenting some of the basic arguments concerning phenomenology, consciousness and intentionality that were to later appear in his master works and be so influential in the course of twentieth-century philosophy. Sartre begins by criticising philosophical theories of the imagination, particularly those of Descartes, Leibniz and Hume, before establishing his central thesis. Imagination does not involve the perception of `mental images' in any literal sense, Sartre argues, yet reveals some of the fundamental capacities of consciousness. He then reviews psychological theories of the imagination, including a fascinating discussion of the work of Henri Bergson. Sartre argues that the `classical conception' is fundamentally flawed because it begins by conceiving of the imagination as being like perception and then seeks, in vain, to re-establish the difference between the two. Sartre concludes with an important chapter on Husserl's theory of the imagination which, despite sharing the flaws of earlier approaches, signals a new phenomenological way forward in understanding the imagination. The Imagination is essential reading for anyone interested in the philosophy of Jean-Paul Sartre, phenomenology, and the history of twentieth-century philosophy. This new translation includes a helpful historical and philosophical introduction by Kenneth Williford and David Rudrauf. Also included is Maurice Merleau-Ponty's important review of L'Imagination upon its publication in French in 1936.